Honda is competitive despite all past setbacks. 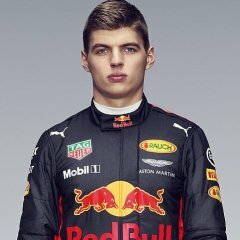 Verstappen open again his mouth (not surprising) and said that whole car needs to improve. Is Liberty Media looking to sell F1? Don't tease me right Monday morning. Why is Liberty getting involved in series of mimicky ideas (perhaps worthy of a village clown)? Grid girls, this and that, but lacking substance to move sport forward in really significant way. Handelsblatt: Interesting. I can't make my mind how this change affects, if at all, Mercedes's negotiating position with Liberty. Dr. Zetsche is a firm believer in racing as a testing bed. Problem is, there is the visionary future with self-driving vehicles, and Daimler, BMW and VW are exploring collaboration in research of new technologies, which is commendable, however that costs money. A lot of money. Logic dictates then to slash internal F1 budget, and that's fine, however unless Mercedes can stay competitive, thing can turn very quickly, nasty way. They might pull out as a team, engine included. I hope for continuation, but one never knows who from new leadership will decide about that. Mr. Wolff is a substantial shareholder in the team, but he still needs Stuttgart behind him. There were always shareholders who voted for MB to get out of this specific series, so, pressure is on. INSIDE LINE: WTF!!! VIETNAM AND NOW PHILIPPINES??? Europe will be collecting crumbs fallen of the table, despite my view that core customers are Europeans. 25 races annually will be a new norm? Well, good luck with that, but I feel sorry for people who have to travel and work each racing weekend. I have only fuzzy recollection on reading many years ago several articles about former boss managing to have teams sign an agreement preventing them to split and form a new series. Since I haven't actually read the agreement itself, it is hard to speculate under what conditions that plan was formulated. With any new series FiA would have to be of course involved, there is very little doubt about it. This is however just nothing more than "shooting breeze at the water cooler". There is no push for separation at the moment (in the open), however situation might change very quickly (methinks). Whether E-series would be the answer, I am not sure. I should add, checking on prestige cars lineup, several automakers still build road monsters with 12 cylinders (not many, but they do). I gather deep down in man's soul, there is still place for something else than just an e-automobil. Problem as I see it with F1 diversity, different teams have their own different objectives why they are participating, and I am lacking understanding how some arbitrarily set budget on gliding scale would change that. Put it differently, a team is now willing to allocate 500MM internal budget and accept that as being worth to them. Now new owners tell the same team, keep your objectives, but perhaps at 200 on slope to 120MM. A lot has to change, and question is why would they have to do that? Luring in many more teams? Possibility exists that certain technology related conditions a team set forth in their plans will not be met, and then they will probably move on and out instead. Simply put, some teams entered just for racing and income derived from placing well when a season ends (Williams). Others have the same goal, but they also, in addition, displaying their capabilities in technology, preferably road relevant (MB, Ferrari). Low level budget might not be aligned with team's business aims. We do not know how it ends. Dr. Zetsche's tenure seems at the moment little wobbly. A Trojan horse with clandestine task to distract men in red? Clear and present danger? Love it. I would not mind manufacturing series without CVC and similar. In anticipation of a lot of activities on sidelines of race tracks, I thought this deserves its own thread. Topic - Budget First of all disclosure - I am an ardent opponent of imposing an arbitrary budget upon teams. I am not certain what kind of problem Liberty and FiA are trying to solve, but in my estimation impact (enforcing budget) could be potentially self-destructive solution. F1 is series of rich and famous, however now we will see them at a Food Bank? F1 must remain special. Its own DNA is being special. Once it becomes just another garden variety series, then its over. My solution to rising cost is a different one. i) If you cannot afford F1, leave. Twelve highly competitive cars of well financed teams is better than six (what we have now), or so-so twenty-six, what everyone else wants. ii) Let world economies dictate how firms behave, and how firm leadership wishes to allocate advertising budget as totally private matters. Comparing technology series such as F1 is to budgetary enforcement in US based sports is a false flag IMO. iii) Control cost of racing by normative references (through regulations). Building a simpler car cost less than building a space shuttle, so much is not difficult to understand. For years I am known to rant about it, including practical issues associated with implementation of such cost control (whatever that means in eyes of Liberty and FiA). Now I've found a soulmate in a person of Dr. Marko. Here is what he said (dead on): We are still a long way from an agreement. Looks like neither Liberty nor FiA really know what they want to do IMO, because if they would, then we would read about and discuss a specific plan they had developed, instead some abstract concepts. I am sure my point was about potential disruption of air travel, which may cease to exist, who knows for how long, and until a new agreement gets setup. If disruption of that kind would not affect F1, well, I can sleep then trouble free. Let's get a grip sounds right. Normally topic would be political issue and perhaps outside of the sport, however as it is, this is probably very much a subject of interest to all fans of the F1. We have about 50-something days to a day, when GB might be on their own, severing cord, and as it is, realistically without any agreement of any kind with EU. What could follow day after is not entirely clear, but experts on aviation issued warning, that there will not be any commuting, or transport of goods via air between island and continental Europe. To be perfectly frank, I am lost about situation how EU bound personnel would travel effectively. Private planes, or by boats...? I am probably not the first guy who is thinking about this, but cost effective solutions are escaping me. Sauber, TR, and Ferrari are home teams, and they have only Siverstone to think about. Mercedes, Renault, RBR will require British working permits for all their foreign workers. This is probably easier to be said than done. Perusing British media, one can read really horror stories about that process. Something else - will be all Brits kicked out from FiA's offices in Paris? Or this one - if Verstappen gets hauled on the red carpet into FiA's office, will he leave RBR offices and swim, or he will need to hire a chartered plane to get him over La Manche? Renault will need to haul some materials on the long distances. Paris, Edinburg, wherever..? Ouch. Sounds messy and complicated. NICOLAS TODT: I WILL HAVE A ROLE IN MICK’S RACING CAREER This kind of news (and implied influence) cannot be bad for Mick. Nick's papa Jean is one of very few people outside of Schumacher's family, who has access and visits Michael and his family in Switzerland quite often. Ross Brawn is another old colleague from Ferrari days who knows first hand Michael's health standing. No problem, radical. On nostalgia front, I've attended my first race at Kyalami. It was 3-days long weekend, leaving me with life long impressions. China wants two races, and as I understand, so is US. Add Hanoi, and what happened to a racing calendar (in EU)? Is F1 being turned into NASCAR style series? I am not claiming it does, but some elements do not up. First of all forget about comfortable 18 races season. They will need more people to help on some tasks and lighten workload which expanded racing season presents, so, how much all of this globetrotting will bite into a low budget? Fact is, we do not actually know what imposition of budgel level at 200 MM includes. Maybe travel will be covered by Saint Nick. Before (I think) it was Ecclestone who contributed to global travel. Right now a team with 450 MM must cover all line items. From office coffee to an engine. 200 MM seems pretty low, especially of an engine still cost around 12 - 25 MM. It will be wonderful what a team runs out of budgeted amount about in September. Is Liberty planning then to send them home, or US courts will ask for billions for some sort of compensation? I am sure it will be fun.